I have my own T&Cs and cancellation policies. How do I add them? Booking requests via Venuemob are flexible enough to allow for your venue's own processes and policies. We know that every venue is different, and every venue will have slightly different processes, policies, and terms and conditions. 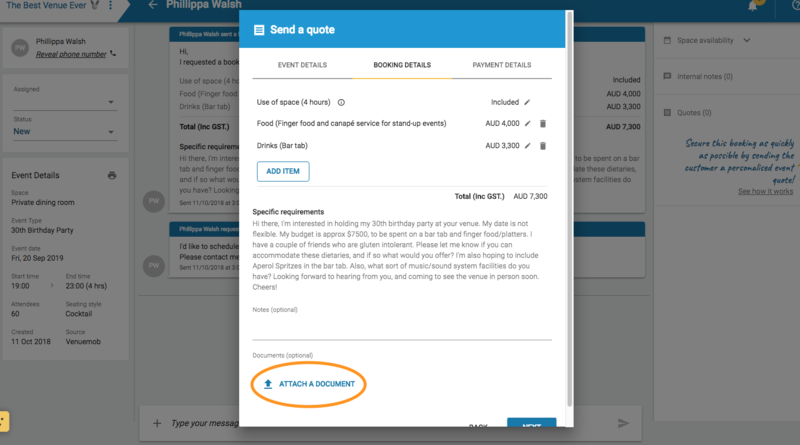 Add your cancellation policy document, T&Cs (and any other documents, like menu PDFs) to your quote using the attach a document button in the 'booking details' section. 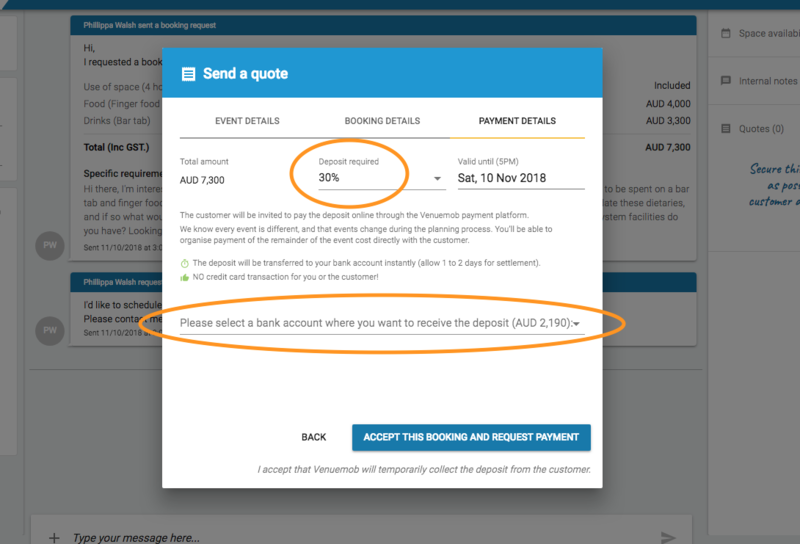 In the Payment Details section, specify the deposit required, how long the quote is valid for, and the bank account to which you'd to receive the deposit. Remember, the deposit is transferred IMMEDIATELY to your account, but allow for one to two days for settlement.